Blockchain and Internet of Things (IoT) are two disruptive technologies that are creating a lot of hype and excitement. Both are poised to be world-changing technologies, but the effect can be even more overwhelming when the two merge. The Internet of Things (IoT) has long been talked about as the next big innovation in home technology. To put it simply, the Internet of Things is the internet of everything. 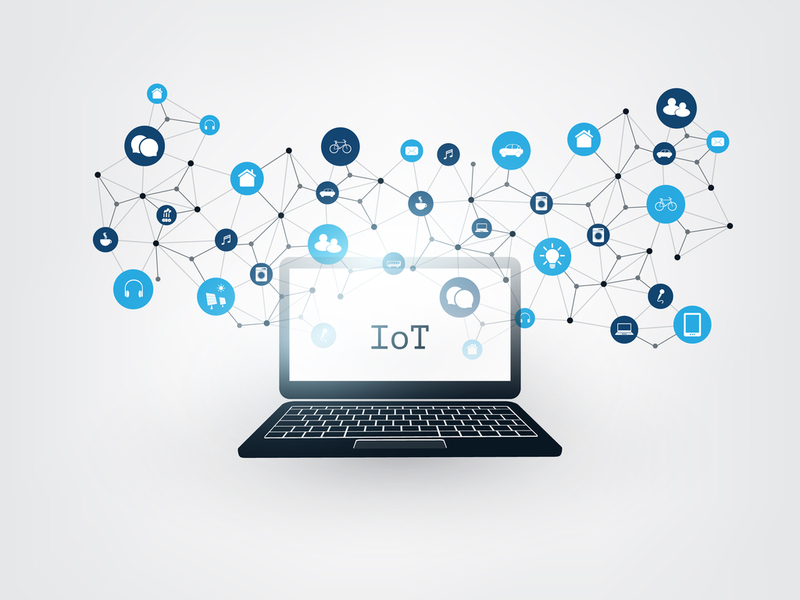 IoT defines a network of interconnected physical devices, vehicles, home appliances, and other items that connect people, systems, and other applications to collect and share data. In the broadest sense, the term IoT encompasses everything connected to the Internet, but it is increasingly being used to define objects that "talk" to each other. The IoT is expected to connect many devices we have at home, from smart microwaves to smart fridges. According to a research and advisory company Gartner, there are an estimated 8.4 billion IoT devices. By 2020 that number could exceed 20 billion, and by 2030 it is expected to surpass 500 billion. But where does blockchain fit into this? The best part of the blockchain technology is that it makes a great fit for what is already digital. The International Data Corporation (IDC), a global provider of market intelligence and advisory services, predicts that by 2019, 20% of all IoT deployments will have basic levels of blockchain services enabled. According to Forbes, there are several major benefits of using blockchain for IoT. First, there is the issue of oversight. 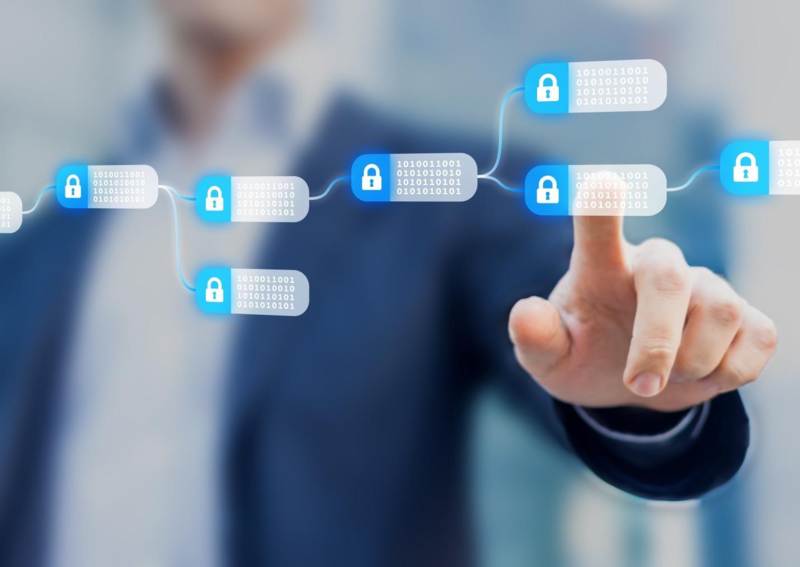 Considering that blockchain records are transparent, the data or physical goods passing between points in the supply chain can easily be tracked and analyzed by anyone authorized to connect to the network. With data transactions taking place between various networks owned and administered by multiple organizations, blockchain helps increase the level of trust between parties and devices. Blockchain facilitates coordination between parties without requiring they trust each other, removing the need for a centralized intermediary. Machines will record, securely, the details of transactions that take place between themselves, with no human oversight. Furthermore, blockchain offers a potential to greatly improve the overall security of the IoT environment. Any failure in an IoT ecosystem exposes multiple devices, huge amounts of highly personal data (for example, smart home devices have access to intimate details about our lives and daily routines), supply chain partners and the community as a whole. 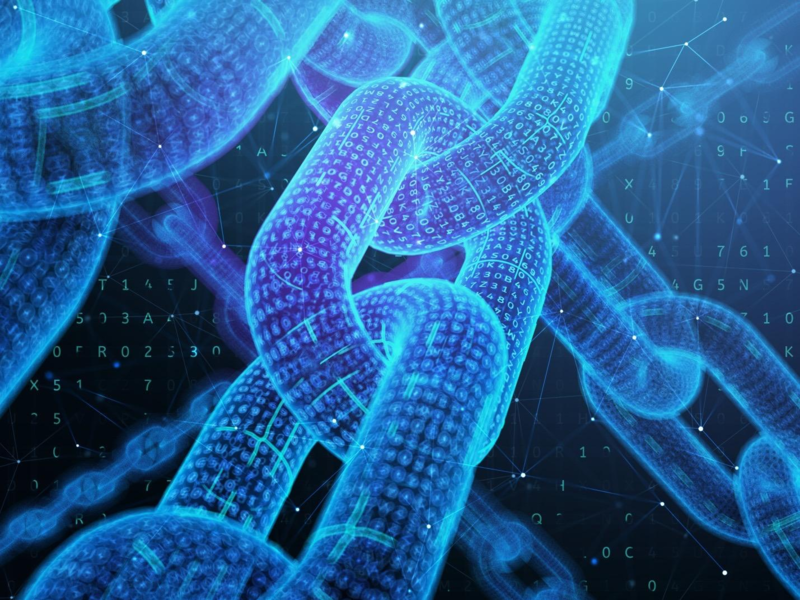 Allowing access to data from IoT devices to be managed through blockchains would provide an additional layer of security that any malignant actor would have to bypass. IoT that has leveraged blockchain (hence blockchain-of-things) is a powerful tool. Apart from building the much-needed trust in IoT devices, blockchain reduces monetary and time commitment costs. Legal contracts can be replaced by ‘smart contracts’, which in turn accelerates transactions. There are a number of companies working towards disrupting the entire world that have encompassed the Internet of Things and blockchain. Among leading blockchain-based IoT projects, VeChain is the strongest market-ready solution. The China-based company has created the world’s leading blockchain platform for products and information. VeChain strives to build a trust-free and distributed business ecosystem, which is self-circulating and scalable. The platform has successfully implemented blockchain solutions across various industries such as luxury goods, liquor, and agriculture. These use-cases go beyond the Proof-of-Concept and have already been launched on the market globally. Modum is another company that combines IoT sensors with blockchain technology, providing data integrity for transactions involving physical products. “We leverage proven IoT and blockchain technologies to simplify our customers' value chain automation and provide trusted data, fulfilling regulatory and internal quality requirements,” says the team behind the project. Modum’s solution portfolio addresses the three main challenges in today's supply chain: collecting digital data and monitoring relevant events in real-time, automating business processes across a supply-chain ecosystem, and optimizing the supply chain based on trusted insights and predictions. 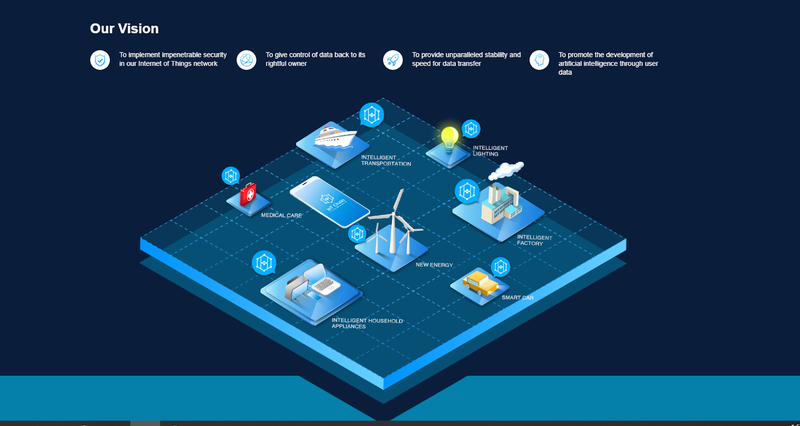 IoT Chain is developed as a lite operating system using the blockchain concept and implementing PBFT (Practical Byzantine fault tolerance), DAG (Directed Acyclic Graph), SPV, and CPS technology, allowing data to be layered and stored in a decentralized manner and providing protection with the combined power of millions of IoT nodes within the network. Using this hybrid approach, a decentralized IoT network of unparalleled speed and security has been created allowing users to maintain data sovereignty. WaltonChain tracks products during each step of the production and distribution processes. Waltonchain unfolds the new era of Value Internet of Things (VIoT). The company believes that the realization of Value Internet of Things will create a brand new business ecosystem, based on an organic integration of blockchain and Internet of Things. “This will extend the blockchain technology from Internet to Internet of Things, which will, in turn, create a genuine, believable, traceable business model with totally shared data and transparent information, depending on the combination of RFID technology and Waltonchain,” the team says. SmartMesh is a blockchain-based IoT protocol that enables smartphones, onboard devices, and others to connect to each other without the Internet. SmartMesh is building P2P mesh networks that run parallel to the international Internet based on intelligent hardware, software, and protocols. This ensures that data traffic will not flow through central servers and stays locally within the mesh network.